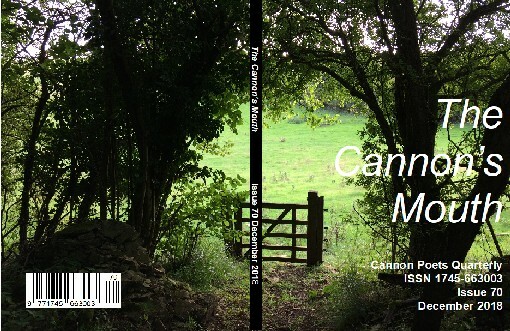 The Cannon's Mouth is the quarterly journal of Cannon Poets. It aims to stimulate interest and encourage the participation of members and the wider community in the writing of poetry and its presentation to the public. Any views expressed, including the views of the editor, are those of the individual. All rights remain with the authors. We welcome original poems, articles and artwork from both members and non members. Please submit by email or by post enclosing a stamped addressed envelope. However you submit your work, please include your full address so that if we publish your material, we can send you a copy. 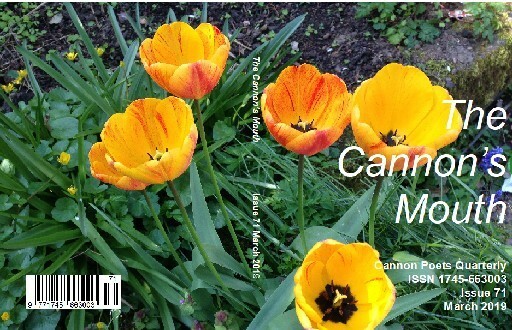 The deadline for submitting work for inclusion in The Cannon's Mouth is the 10th of the month before publication. 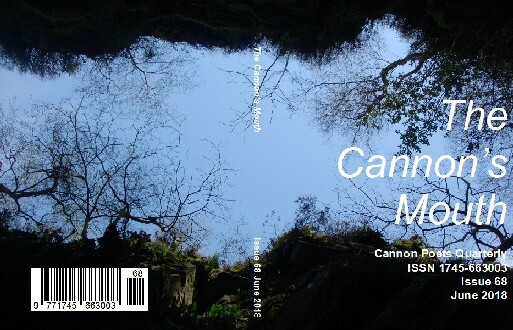 The Cannon's Mouth is published in March, June, September and December each year. NOTE: All online transactions are subject to a £0 administration fee. ...or cheques made out to 'Cannon Poets' at the above address. 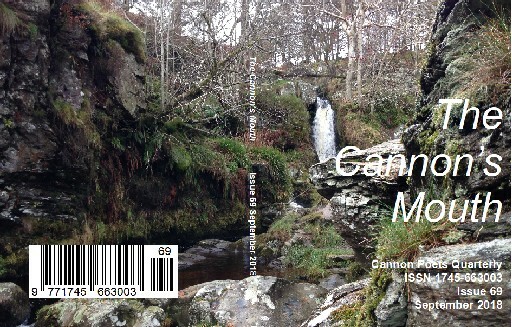 £13.00 per year buys you four issues of The Cannon's Mouth [£20.00 outside UK]. if you would like to buy back issues or any other publications, please contact us to find out what is available, and then click here to pay. View some early editions of The Cannon's Mouth on line by clicking here.